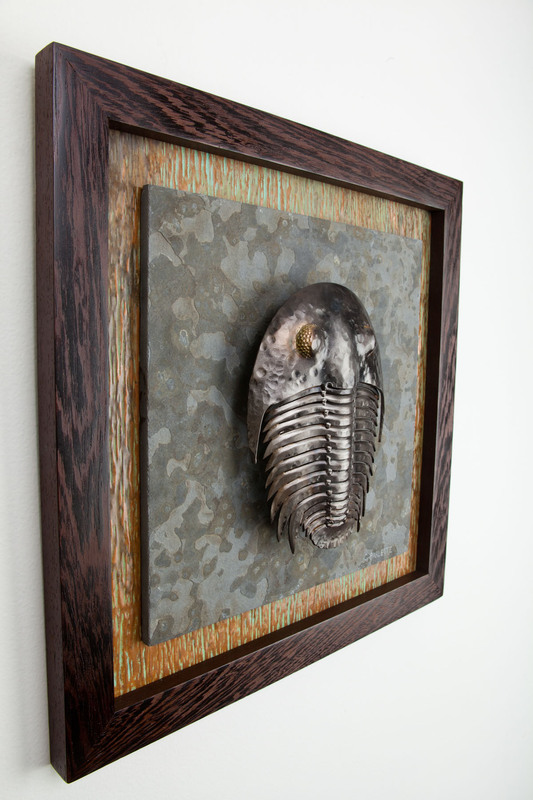 500 million years ago the trilobite was one of the most widespread creatures on the planet. 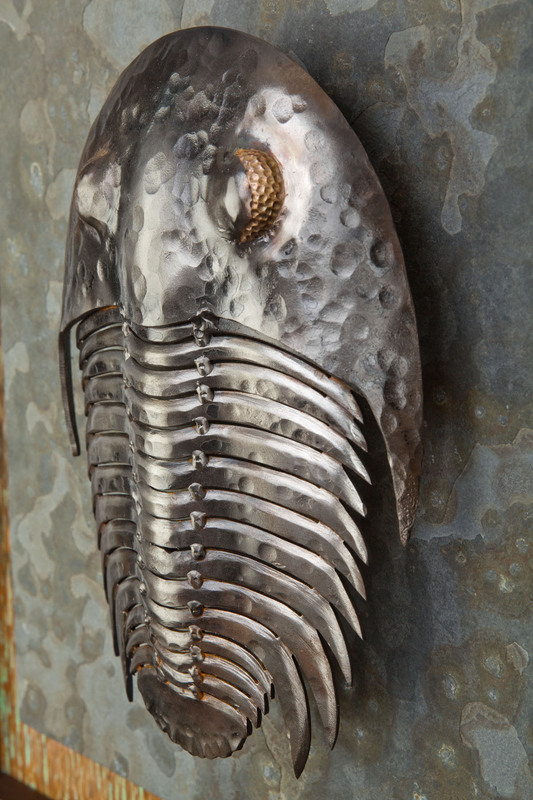 There were thousands of different species inhabiting nearly every niche in the ocean. In 250 MYA they all disappeared. 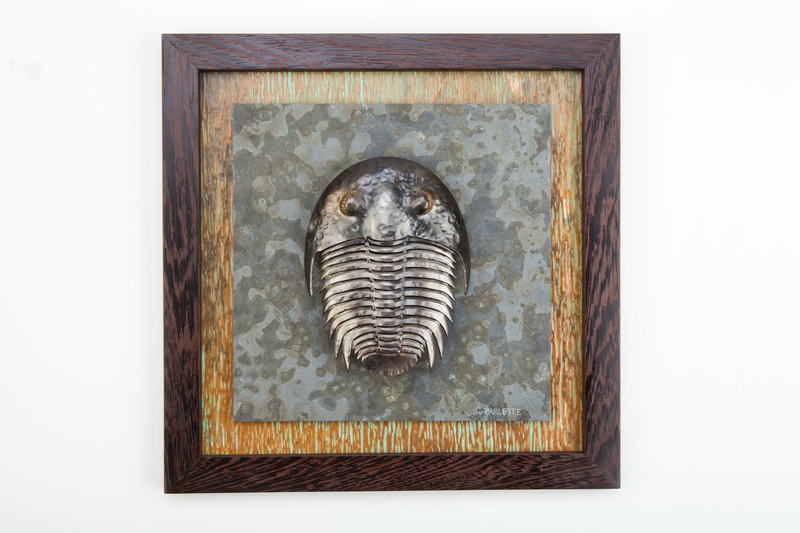 They are well represented in the fossil record and are a reminder of the impermanence of life, no matter how deep-rooted or pervasive it may be. 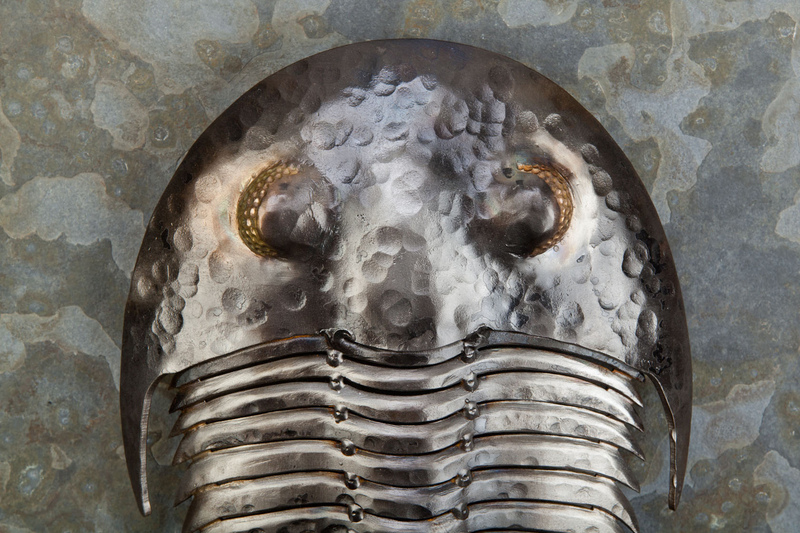 This sculpture is forged and hammered out of steel. 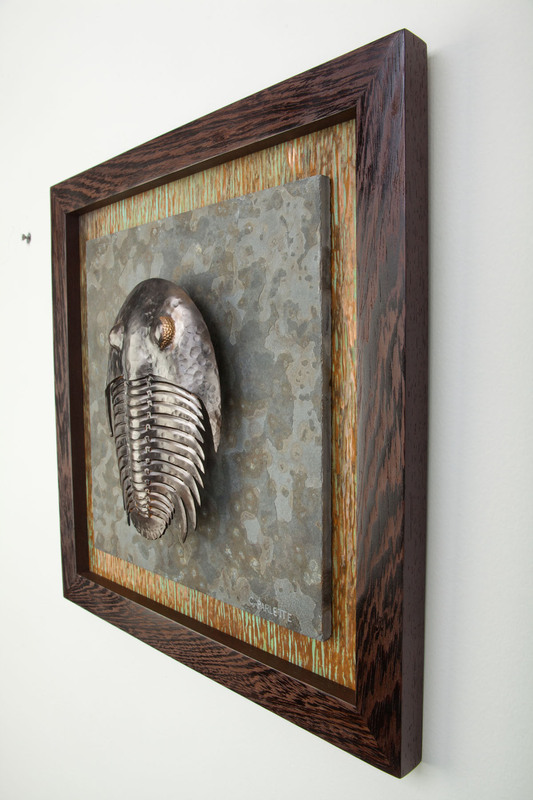 The frame is wenge wood with the backing being slate and textured copper.